More than 1,000 incidents were reported to the National Cyber Security Centre in its first year of operation. The centre - part of the intelligence agency GCHQ - says more than half the incidents posed a significant threat. None of the incidents was category one level involving interference with the democratic system or crippling critical infrastructure such as power. But NCSC head Ciaran Martin warned there could be more significant and damaging attacks in the near future. The first year of the centre's work has been marked by a significant escalation in threats. In the past few months, parts of the NHS have been taken offline and companies hit by attacks costing them millions of pounds. The centre also had to respond to the snap general election by putting in place protections against any interference by foreign states. In all, 1,131 attacks were reported, 590 classed as significant and more than 30 assessed serious enough to require a cross-government response. Mr Martin described the cyber threat as "large, growing and diverse" - and warned that further attacks were inevitable. "Cyber-security is crucial to our national security and to our prosperity," he said. "We're incredibly proud of what we have achieved in our first year at the National Cyber Security Centre, bringing together some of the best cyber-security brains in the country in a single place. "But the threat remains very real and growing - further attacks will happen and there is much more for us to do to make the UK the safest place in the world to live and do business online." 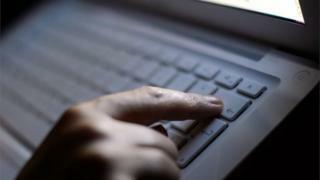 A NCSC report said there were now more devices connected to the internet than there were people in the world. "Despite the NCSC's best work in defending the country from that threat, we can't prevent every attack," it said. The NCSC is part of GCHQ, whose director Jeremy Fleming said threats to the UK were developing as fast as technological advances.